I mentioned on Instagram the other week about a clunky moment when a pediatrician asked if Audrey was being invited to birthday parties. I found it quite odd. Audrey has been going to birthday parties since birth. A friend made me realise this was the doctor’s way of measuring that Audrey is being included and has formed friendships at school. Funnily enough, just recently we have had loads of birthday parties. Audrey loves a good party, however sometimes the bouncy castle is too busy for her. Sometimes the general ambiance is too loud for her. Sometimes she’s just not in the mood. 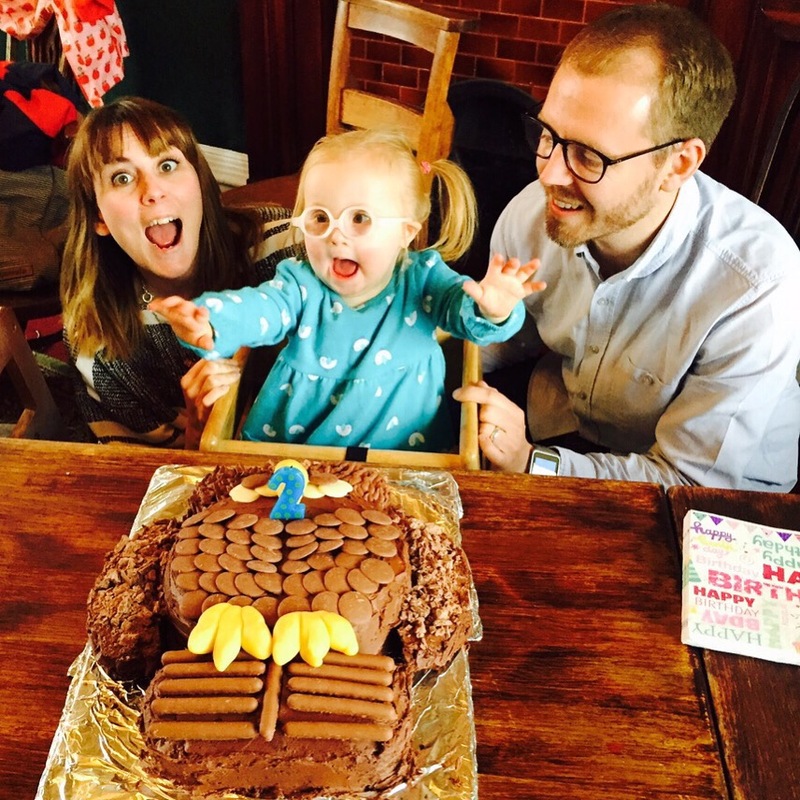 But mostly she enjoys all that comes with sort of event; party music, dancing, party food, pass the parcel… and of course, the wonderful cake moment singing ‘Happy birthday’ – she does this with huge enthusiasm and joy. On your birthday, if Audrey is there, it’s like having your own personal cheerleader. Last Saturday we went to one of those parties that just wasn’t her thing. We arrived and the hall was loud and chaotic with her school friends running around, making a lot of noise, but she was ok. It was such a pleasure to see her hugging her friends, holding hands, running around together, it was a great feeling watching her being part of the gang. Then the entertainer arrived. Uh-oh. 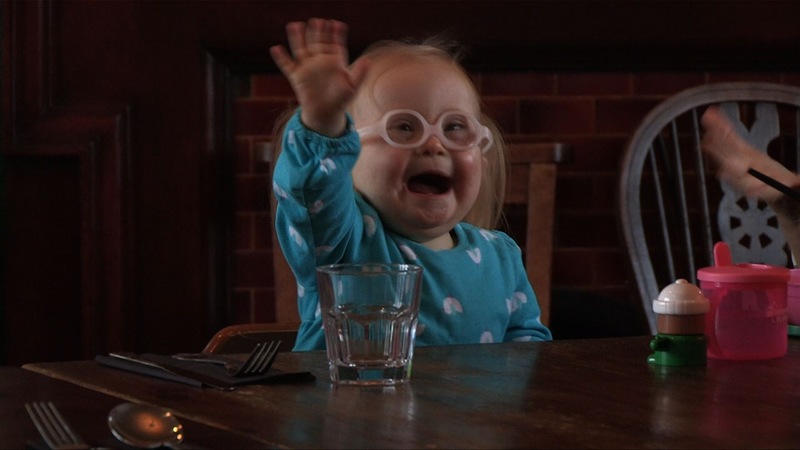 It started well, Audrey sat laughing along with her friends and I was sat back on a chair, thinking how well she was doing and how far we had come… when she started to look for me with her bottom lip protruding. She came to sit on my lap “Can we go home Mummy? I don’t like it, he’s scary, it’s too loud”. She asked to go to the toilet (a cunning way to leave the loud room) and she did do a wee (hurrah! ), but we ended up waiting in the hallway and then the kitchen, because she was too upset by the noise in the main hall. Once the entertainer finished, there was a party tea (which she didn’t eat) and a brief moment with music where she ran around with her friends (and my goodness 5 year olds are raucous), but I was relieved and thought we’d see this party through… when the entertainer came back to do his closing set. So we left early. Where we (society) have come so far is that Audrey was even invited. 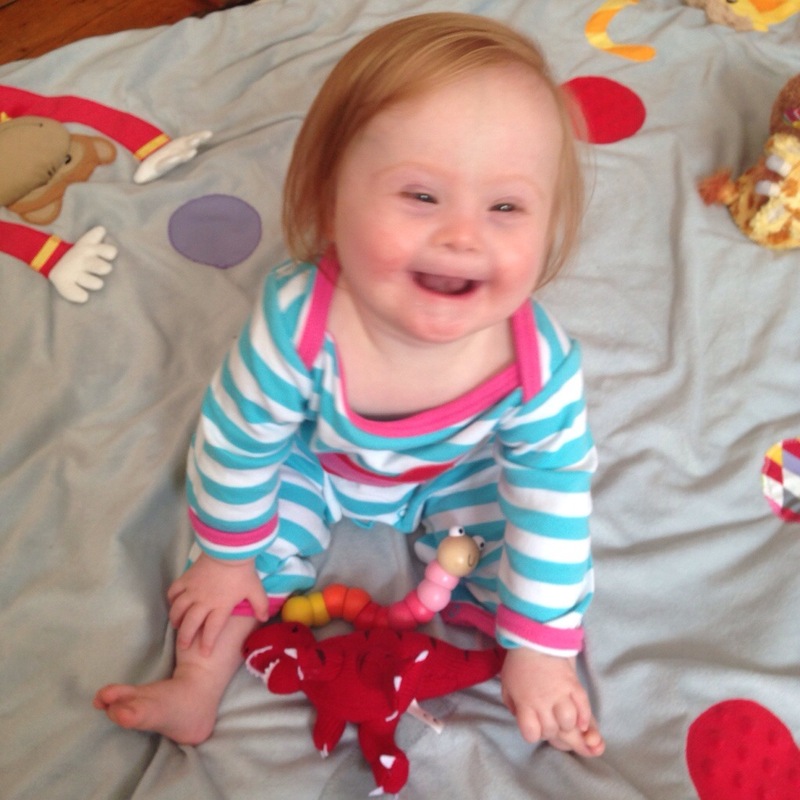 She is part of a mainstream school class and she is treated the same as her typical peers. Also, everyone is understanding. 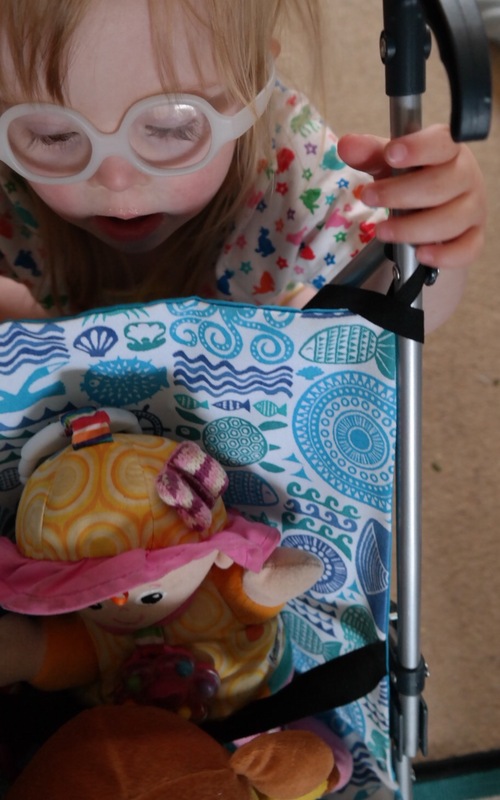 No one is asking “What’s wrong with her?” (because she doesn’t like the entertainer, but every other child does), people are not making us feel weird. It’s fine that she’s not feeling it and off we go. One thing I know, Audrey will always be invited to birthday parties. 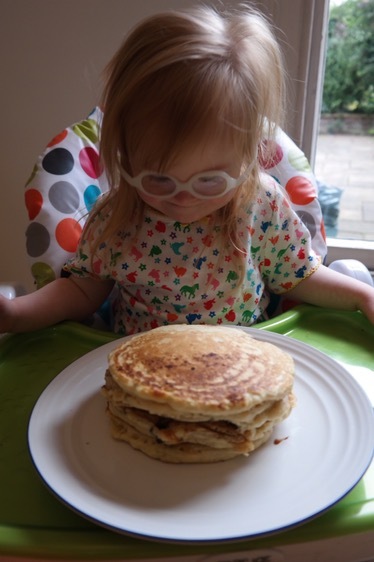 Yes, the kids will start to cherry pick their favourite friends and everyone should have that right, but I am confident that my kind, gentle, fun little girl will be considered an asset to a party by lots of children. We have another school friend’s party in February. I know it involves a big bouncy castle and maybe some soft play, I suspect it won’t be her thing, but we will go. Because we have to try. 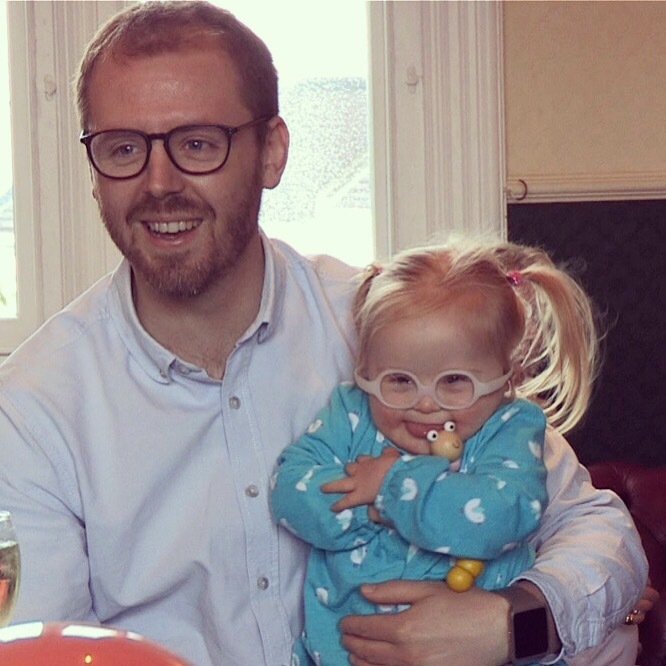 Audrey has been to the cinema, bowling, she has seen live bands, watched parades, been on a Ferris wheel – there are many things I’ve been concerned she might not like… but we tried anyway. Because sometimes she loves things that we might have been told she would hate. 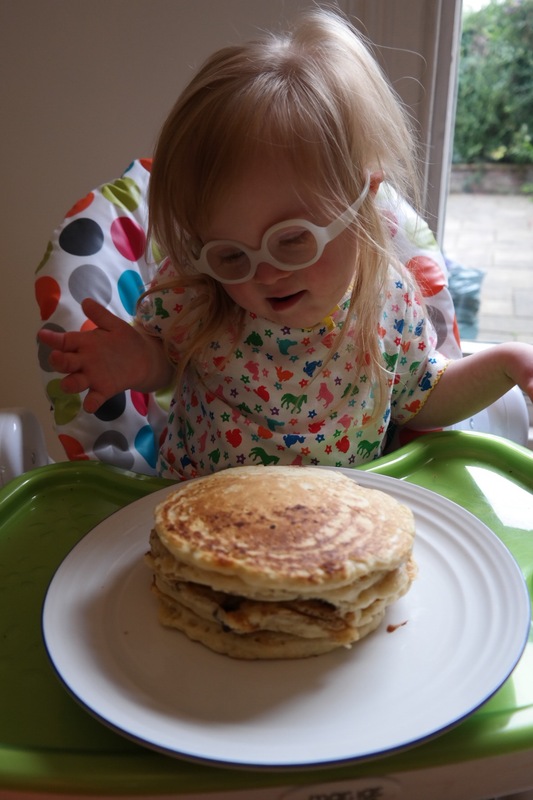 Knowing she has special needs means we are aware of some of the challenges she may have, but nothing can predict your child’s personality and their preferences, you just have to live your life and discover together, one party at a time! Oops. 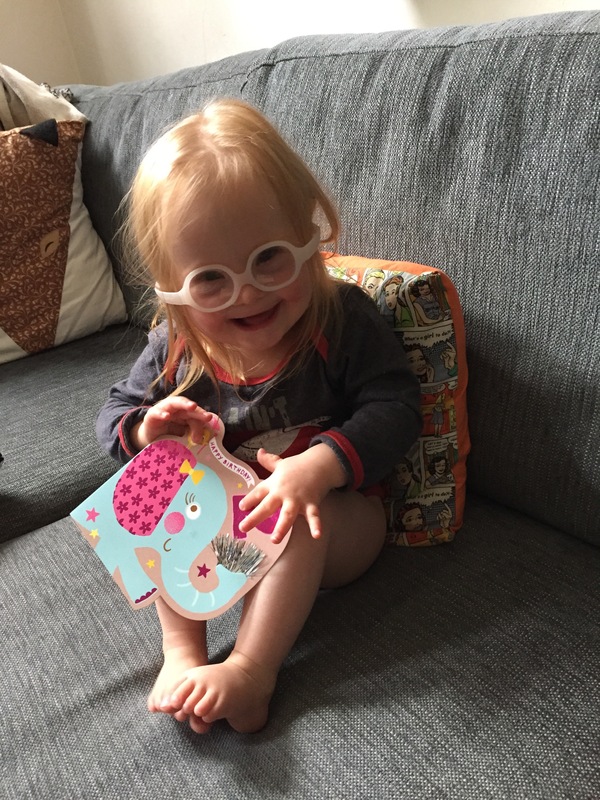 Audrey turned 3 and I forgot to blog about it. Such is the foggy brain of a sleep-deprived mother of two. She has had several rounds of “Happy birthday”, at home, Whoopsadaisy, nursery, over the phone from Nanny, at her picnic party in the park… So the happy birthday song has joined her repartoire and I hear it at least once a day. Another brilliant new favourite is “We Are the Champions” – we watched a Jimmy Fallon clip of lots of stars singing it and now Audrey sings the chorus a lot, much to our amusement. Anyway, Audrey had a fabulous birthday. 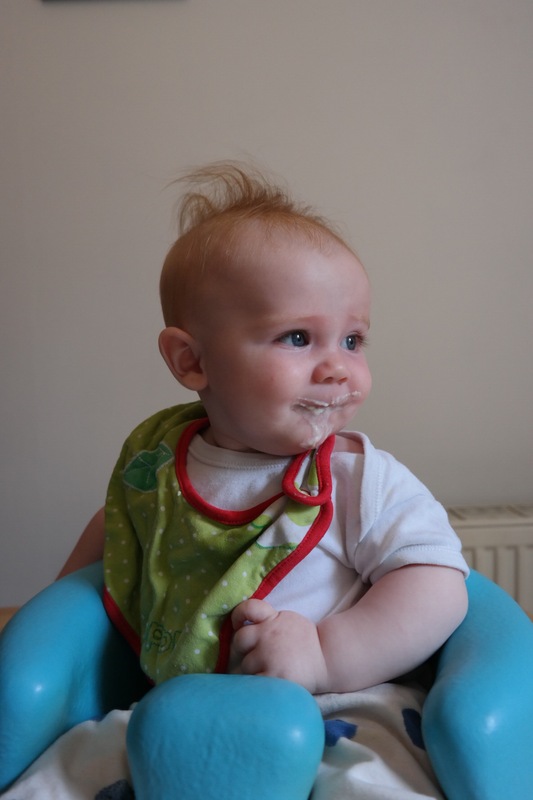 And here are some pictures to prove it… Oh and Rex tried some solids for the first time on her birthday, he was unsure! 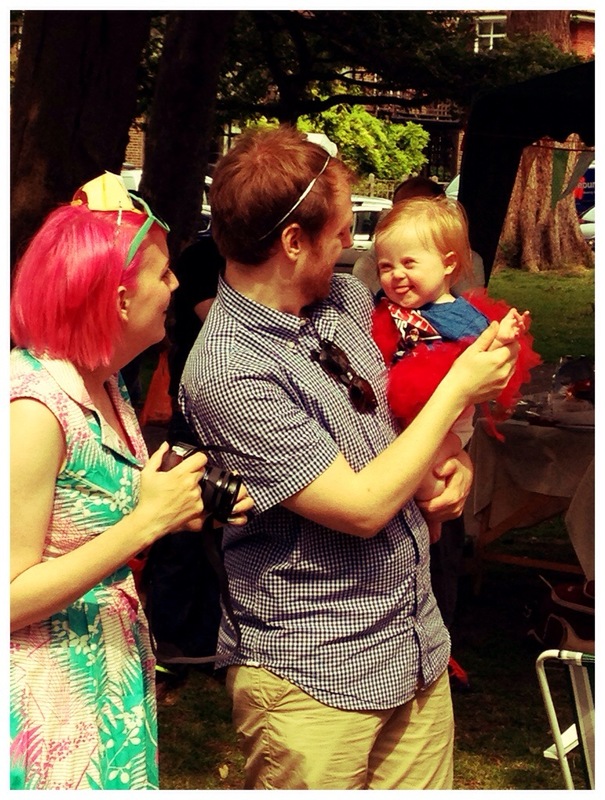 I realised I hadn’t shared Audrey’s birthday party photos… So here they are. We had planned a party in our local park, but due to the great British weather in July, we had a party in a pub! 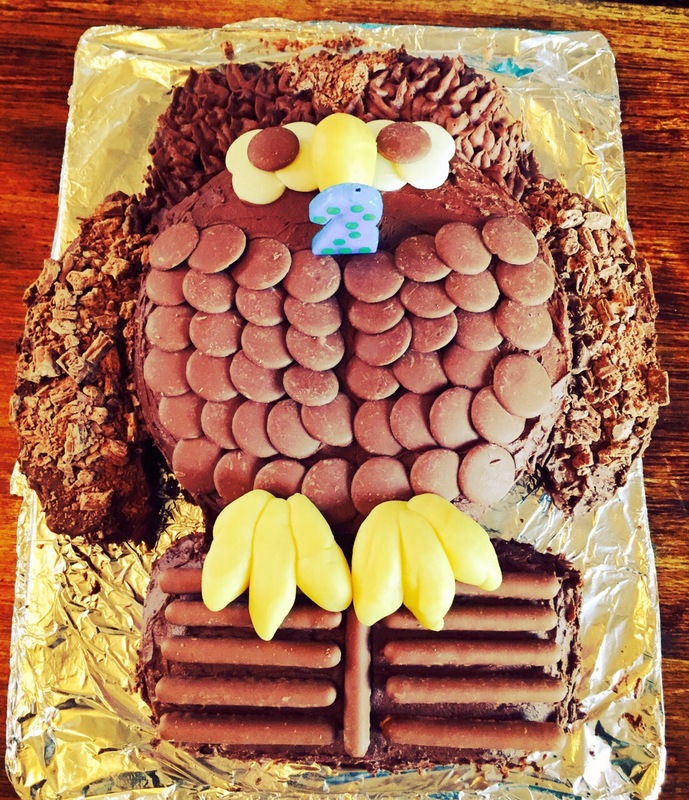 Owl cake baked by Daddy. Ahh that time of year where we reminisce about Audrey’s arrival and look at how far we’ve come. 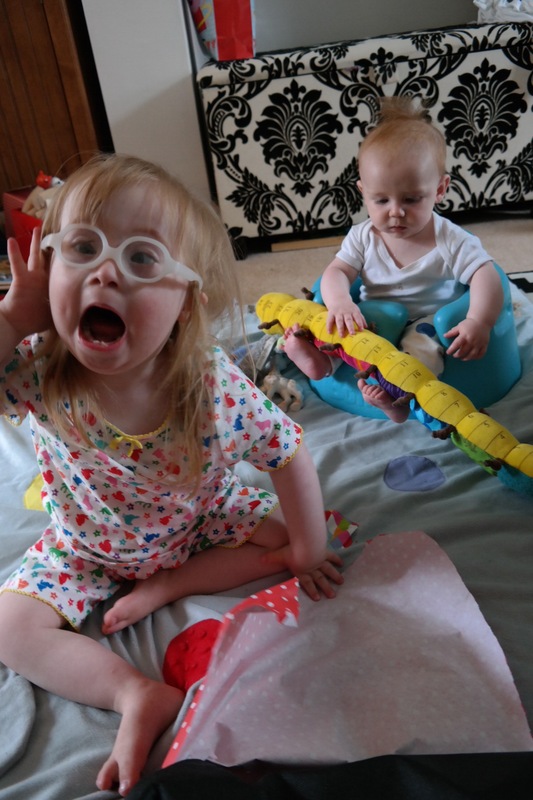 Well, we’ve come a long way since the shock of a c-section and an extra chromosome! Audrey is the best thing that ever happened to us. I think people under estimate the power of love (apart from maybe Jennifer Rush and Frankie goes to Hollywood, they seemed to get it). The love we have for Audrey just grows and grows. I always thought love for a child was instant and unchanging, whereas it’s actually been more of a slow burn. A little love at first, then more and more and more; and, as they become more of a ‘person’, the love starts to go through the roof! 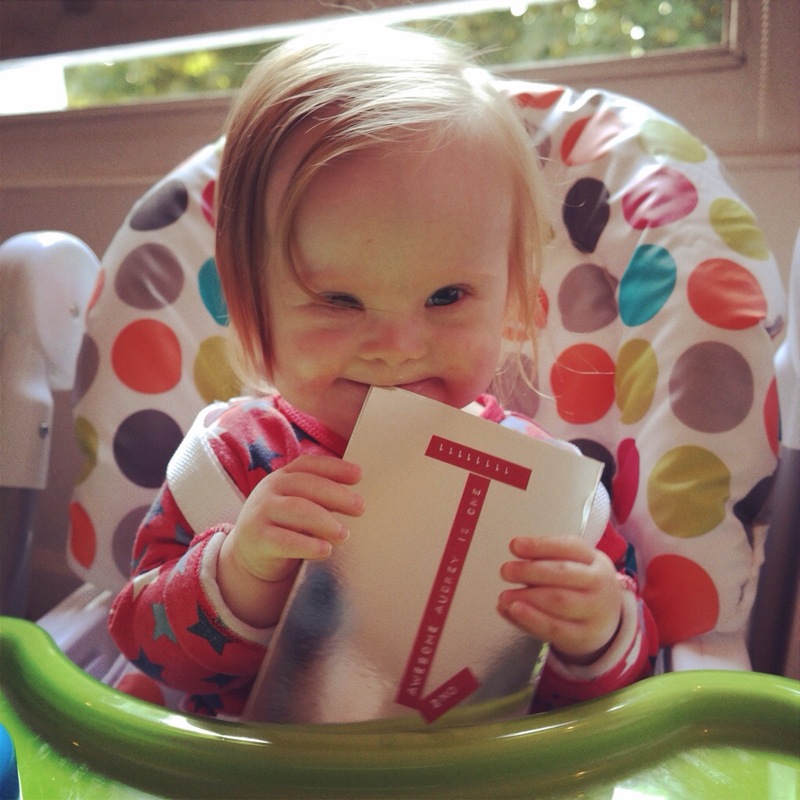 I basically want to eat her up I love her so (plagiarised from Maurice Sendak, apologies). 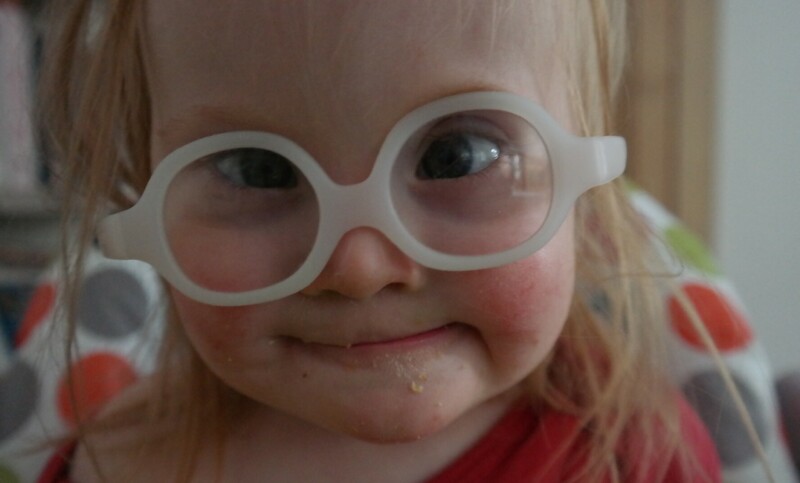 What I find frustrating, is that I can’t wave a magic wand and make anyone about to become a parent to a child with Down’s Syndrome have this feeling we have now. 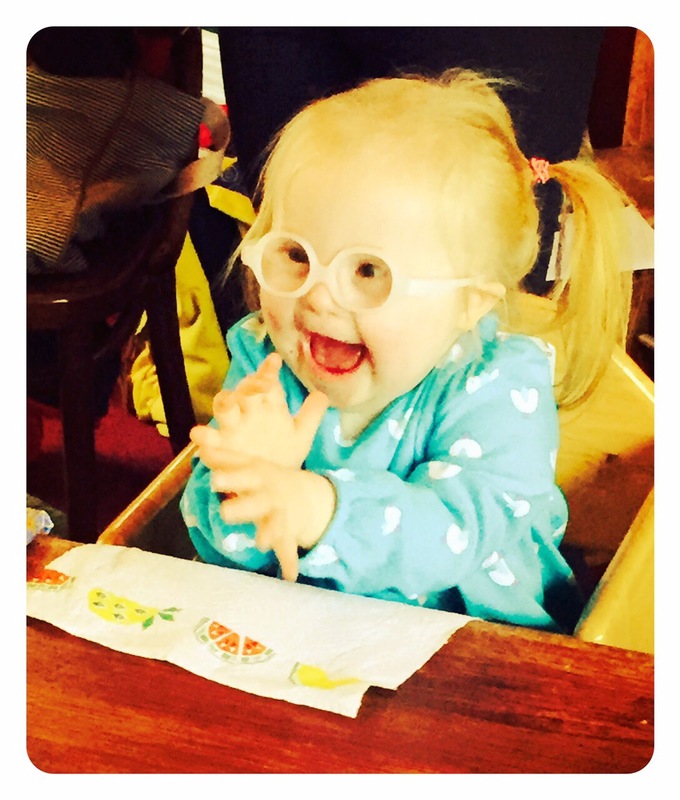 The pride, the joy and the genuine contentment we feel having Audrey as our daughter. Not wanting to change her, being so proud and so much in love. 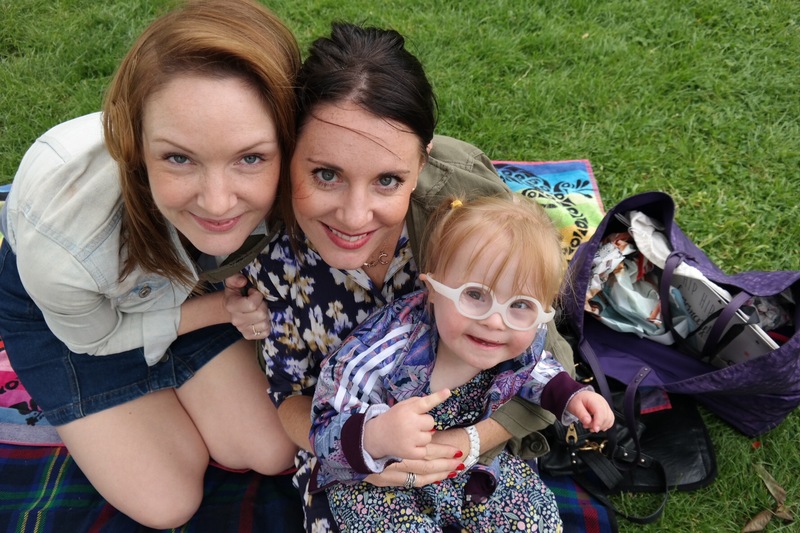 I just hope that sharing our lives will help someone out there somewhere feel better – whatever stage they are at (pre-natal diagnosis, shock arrival, a few weeks or months in) and just take away a bit of that stress involved with looking to the future. Don’t project too much, don’t start thinking months or years ahead – enjoy that bump/baby you have right now and just know that they are going to be awesome. Fact. 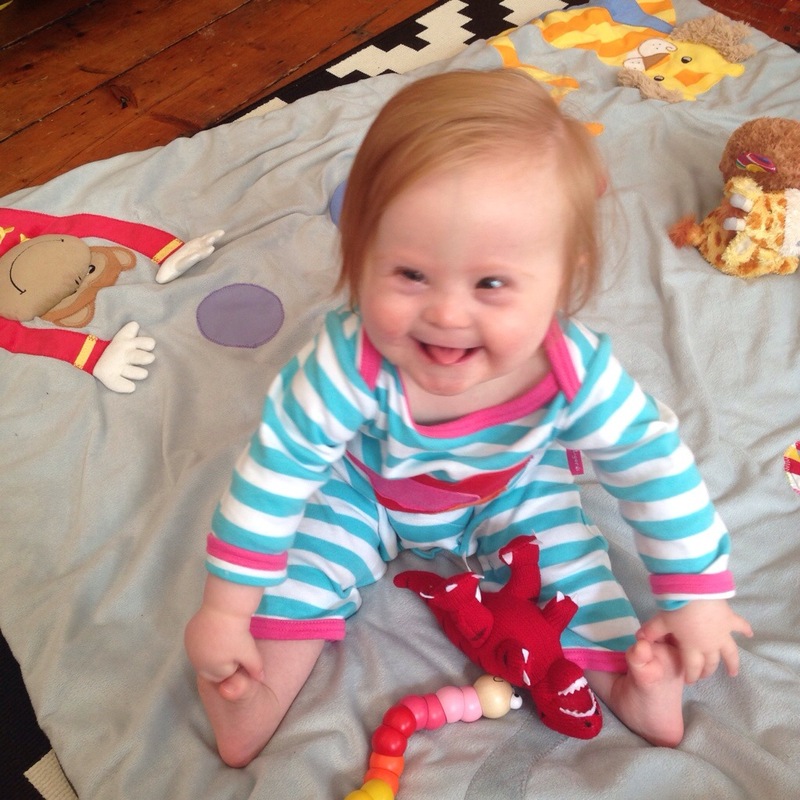 Just a quick post to mark Audrey’s first birthday! Here she is this morning. 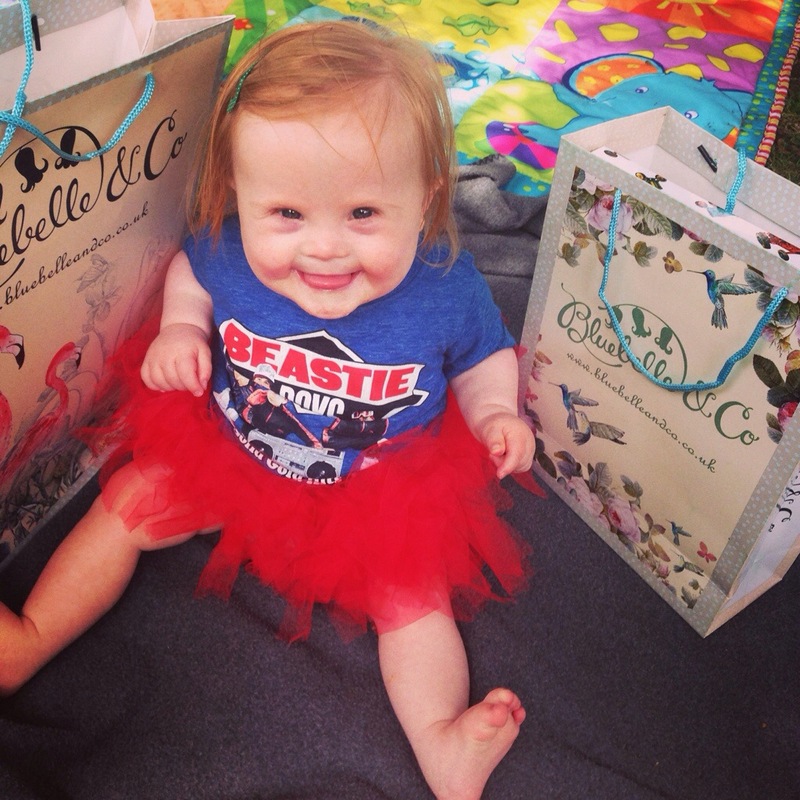 Ted and I had the day off whilst she got spoilt at nursery. We went to a photography exhibition and stuffed our faces at Five Guys (in the sunshine in London!). Amazing to be one year in. I still wish we knew then what we know now, but I also get what Ted subscribes to… That you have to live through the tough times to appreciate the good. But I do feel like I was robbed of joy. Somehow we need to teach people that DS isn’t something to be screened out of society. Why are we trying to cull them? The screening message just makes you feel like it’s a very bad thing that must be avoided… But I don’t want to dwell on the negative here. Today was Audrey’s 1st birthday and she was surrounded by love and happiness.